Grill chicken for 12-15 minutes. Slice strawberries to desired size. 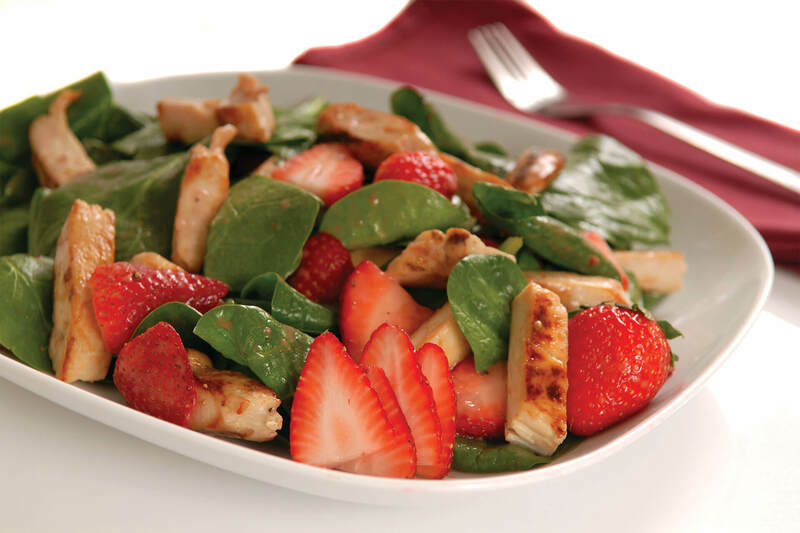 Add strawberries and spinach to medium bowl.